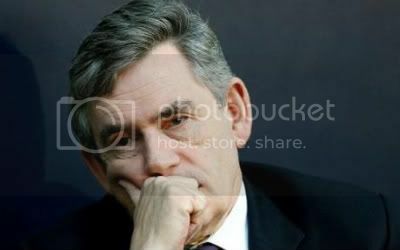 TELEGRAPH BLOGS: "British jobs for British workers," the man said - the man in question being Gordon Brown. Those words have now returned to haunt him, on placards brandished by picketing workers at the Lindsey oil refinery in Lincolnshire and the growing number of similar sites to which the protests against the oil company Total's hiring of foreign contractors have spread. Anyone who tries to dismiss these strikers and protesters as local Luddites, out of touch with the realities of globalisation, should think again. When the slogans being chanted at an industrial plant in Lincolnshire are echoed even more loudly in the US House of Representatives, the Senate and the Oval Office, then we know that protectionism is not a bush fire but a global inferno. Protectionism is rapidly replacing free trade as the political, if not the economic, orthodoxy. Lord George Bentinck would have loved it (Dizzy was only along for the ride during the Corn Laws debacle, as his subsequent embrace of free trade demonstrated). Globalisation is in retreat. Recessions do funny things like that; and it gets worse as it deepens into full-blown depression, as this crisis will do. Memo to Gordon: if you want to save the world, do not utter populist protectionist slogans for temporary electoral effect. The United States is returning to its protectionist roots (it never entirely abandoned them) with a vengeance. Not only all iron and steel used in Barack Obama's 1930s re-enactment spectacle is required to be of American provenance, but the Senate has now extended the restriction to virtually all equipment and goods. THE TELEGRAPH: Interest rates, already at their lowest level in history, are expected to fall yet further next week to 1 per cent, hitting hard pressed savers. The Bank of England's monetary policy committee is meeting on Wednesday and Thursday to decide on whether to cut interest rates once again, to stave off the worst of the mounting recession. If it does so, it will be the fifth month in a row it has cut rates. It has already slashed them from 5 per cent at the start of October to 1.5 per cent, the lowest they have been since the Bank was founded in 1694. In recent weeks the economic data has worsened, with more and more businesses forced to axe staff, shut down factories and delay investment. 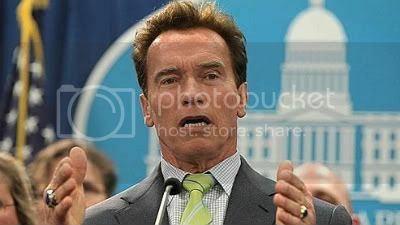 LE FIGARO: La justice a accepté le décret d'Arnold Schwarzenegger visant à enrayer le déficit de 40 milliards de dollars de l'Etat, en réduisant notamment le salaire des fonctionnaires. BBC: President Obama has called the contraction of the US economy in the final quarter of 2008 a "continuing disaster" for the US. Speaking at the White House, he also announced a new task force to help middle-class working families. US economic output fell 3.8%, the worst quarterly contraction in more than 26 years, official figures have shown. It is the first time the United States has seen consecutive quarterly declines since 1991. The rate is annualised, which means that if the economy were to shrink at the same rate for a whole year as it did in the final quarter, it would shrink by 3.8%. President Obama said the task force, to be headed by Vice President Joe Biden, would focus on creating well-paid jobs for middle-class working families. He also said he wanted to "level the playing field" for labour unions, saying that strong unions needed to work "side by side" with strong businesses. "I do not view the labour movement as part of the problem. To me, it's part of the solution," he added. The president said he had signed three executive orders to help workers, ensuring - among other things - that federal contractors offer jobs to existing workers when contracts change. Vice President Biden said: "America's middle class is hurting. Trillions of dollars in home equity and retirement savings and college savings are gone. "A strong middle class equals a strong America. We can't have one without the other." The announcement went down well with union leaders. The US economy shrank at its fastest rate since 1982 in the final quarter of 2008 as Americans stopped spending on all but essential items, such as food and petrol. The world's biggest economy contracted at an annual rate of 3.8 per cent between October and December, according to official data published today by the US Commerce Department. THE NEW YORK TIMES: WASHINGTON — President Obama branded Wall Street bankers “shameful” on Thursday for giving themselves nearly $20 billion in bonuses as the economy was deteriorating and the government was spending billions to bail out some of the nation’s most prominent financial institutions. Rien ne va plus entre Wall Street et Barack Obama. Le 44e président des Etats-Unis a jugé tout simplement "honteux" les bonus versés par les groupes financiers à leurs salariés en 2008: 18,4 milliards de dollars. "C'est le comble de l'irresponsabilité", a-t-il insisté, appelant les "gens de Wall Street" à faire "preuve de retenue, de discipline et de davantage de sens des responsabilités". 18,4 milliards de dollars. C'est la somme de la discorde entre Barack Obama et Wall Street. Mercredi, les autorités de l'Etat de New York ont indiqué que les établissements de Wall Street avaient versé 18,4 milliards de dollars de primes à leurs salariés en 2008. Un chiffre certes en recul de 44% par rapport à 2007 - 32,9 milliards de dollars - mais qui reste le sixième record de l'histoire de Wall Street en valeur absolue. Le montant a de quoi surprendre en pleine crise économique et alors que l'administration Bush a lancé à l'automne un vaste plan de soutien au secteur financier d'une valeur totale de 700 milliards de dollars. THE TELEGRAPH: Hundreds of factory workers protested outside one of the country's largest oil refineries against the use of foreign workers on a multi million pound construction project. Humberside Police said around 800 people took part in the demonstration outside the giant Lindsey Oil Refinery at North Killingholme, Lincs. The actions of the workers could spark more protests around the country as the jobless total rises towards two million during the economic downturn and anger mounts against the Government. Some protesters carried placards repeating Gordon Brown's slogan 'British jobs for British workers'. Derek Simpson, joint leader of Unite, called for urgent meetings with the Government and employers to discuss the "exclusion" of UK workers from some of Britain's major engineering and construction projects. "We have a growing problem in the engineering and construction industry where UK workers are being excluded from important projects. Wildcat strikes spread to oil refineries across Britain this morning as workers walked out in sympathy with industrial action taken against the arrival of hundreds of foreign contractors. Around 700 staff walked out of the Grangemouth oil refinery in Scotland and 400 more staged an unofficial strike at a refinery in Wilton, Teesside as workers lent their support to a three-day strike at the Lindsey oil refinery in North Lincolnshire. Staff at the refinery in North Killingholme began their wildcat strike on Wednesday in protest at the arrival of 200 Italian and Portuguese staff who were awarded a large construction contract. There were also signs of the protest spreading to Wales this morning, police were called to Aberthaw power station near Barry after a protest was staged there. THE TELEGRAPH: The prospect of a trade war between the US and Europe is looming after "Buy American" provisions were added to President Barack Obama's $820 billion (£573 billion) stimulus package. The senate's version of the legislation, which will be debated early next week, goes even further, requiring that any projects related to the stimulus use only American-made equipment and goods. Criminal gangs have dramatically increased their output of counterfeit £1 coins in the past year, pumping millions of fakes into the economy and threatening to undermine public confidence in the money supply. Sampling by the Royal Mint of coins in circulation across Britain has found that the number in circulation rose by 27 per cent during 2008, raising the amount of sham coinage to £37.5m – or one £1 coin in every 40 – the highest since the coin was introduced in 1983. In 2002, one in 100 £1 coins was a worthless fake and in 2007 one in 50. 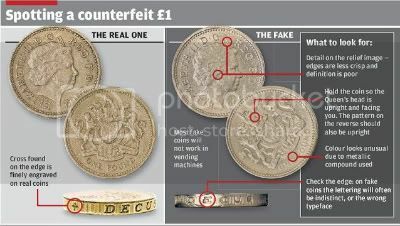 Royal Mint officials are considering launching a public information campaign to warn the public how to spot the fakes. Technically any person handing one over is breaking the law, meaning that millions of people are unwittingly committing a crime every year, but many of the fakes closely reproduce the metallic compound used by the Royal Mint, making them hard to detect by bank counting machines. France woke up to a day of nationwide strikes in both the public and private sector on what has been billed as 'Black Thursday'. However, disruption to transport networks appeared to less than expected. The main bulk of protesters will come from across the public sector, from postal workers to court officials and a huge contingent of teachers marching against Mr Sarkozy's plan not to replace 13,500 jobs in education this year when staff retire or quit the profession. But employees from the private sector, from car plant workers but also helicopter pilots, supermarket cashiers and even ski lift operators, will also take part. Europa: "Märkte wetten auf Explosion des Euro"
DIE PRESSE: Erstmals scheint die europäische Währung wirklich in Gefahr. Der Bankrott eines Euro-Landes könnte den Kollaps der europäischen Währungsunion zur Folge haben. Die Kreditwürdigkeit von Spanien und Griechenland wurde bereits in den vergangenen Wochen herabgestuft. Aber auch Anleihen aus Irland, Italien und Portugal werden - erstmals seit der Euro-Einführung - mit massiven Risikoaufschlägen belastet. Mittlerweile fragen sich auch renommierte Ökonomen, wann das erste Euro-Land bankrott geht. Die Konsequenzen könnten folgenreich sein und im Zerfall des Währungsblocks münden. THE TELEGRAPH: The treasury is planning to control of [sic] banking bonuses as the price for the insurance scheme for bad debts unveiled last week. Banks that ask the taxpayer to insure their “toxic” assets will have to sign legal documents committing them to introducing “long-term” pay structures that may signal a halt to the bonus culture. Details of the agreements that banks, including Barclays and Royal Bank of Scotland, will be asked to sign are still being drawn up, but sources close to the Treasury said the terms were likely to be stringent. THE TELEGRAPH: Gordon Brown is only proposing to raise taxes for the better-paid to appeal to Labour's core voters, a former Labour Chancellor warns today. In an interview with the Daily Telegraph, Denis Healey says that the new higher rate of tax is likely to have little financial benefit as the wealthy will simply avoid the extra levy. Mr Healey, 92, was Labour Chancellor during the economic crisis of the 1970s when the top-rate of tax was 83 per cent. 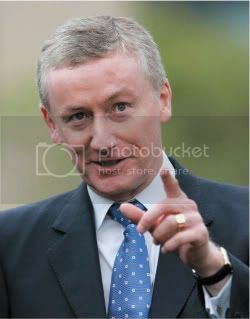 Mr Brown has proposed introducing a new 45 percent top-rate of income tax in 2011 to help fund the cost of the cut in Vat. The prospect, however unlikely, is a humbling one. The adoption of the euro just a decade ago was meant to pull Europe together economically and politically, ending the sometimes furious battles over who could devalue their currency the fastest and beggar their neighbor. For the Continent, the currency signaled the potential to one day rival the United States. For its poorer countries, winning admission to the euro zone was a point of pride, showing that they had tamed their budget deficits and set their financial houses in order. Now, in the middle of the worst economic downturn since the euro’s birth, a new view is emerging — especially as the creditworthiness of Greece, Spain and Portugal, one after the other, has been downgraded. The view is that the balm of euro membership allowed these countries to gloss over serious economic problems that have now roared to the fore. It was, for a few years in the middle of this decade, the trope that you heard all the time. The global economy, it was said, was a "Goldilocks" one. Just like the bowl of porridge that the child in the fairy tale sampled, it was neither too hot, nor too cold. It was — wonderfully, warmly — just right. It is, in short, not an appetizing sight. Since the summer of 2007, when nonexperts started to understand that subprime refers not to a U.S. Department of Agriculture grade of steak but a mortgage whose originator had no real prospect of recovering its debt, the world's economic and financial systems have lurched from one astonishing event to another. The mayhem among U.S. commercial and investment banks in the fall of 2007, the Fed's panicky 75-basis-point interest-rate cut of January 2008, the fraud at SocGen, the fire sale of Bear Stearns, the bankruptcy of Lehman Brothers, the rescue of AIG, CDOs, TARP, recapitalization, Madoff, Satyam, Citi, RBS ... and so it goes, until even the most diligent of chroniclers runs out of acronyms and polysyllables and ceases to believe that the story they are telling can possibly have happened. Goldilocks? To describe the travails of the global economy in the past 18 months would require an imagination darker than that of the Brothers Grimm. LE MONDE: Depuis mardi 20 janvier, des milliers d'Islandais se relaient chaque après-midi devant le Parlement (Althing) et le bureau du premier ministre pour demander la démission du gouvernement. Ces manifestations se sont transformées en émeutes deux nuits de suite, mardi et mercredi. Jeudi matin, pour la première fois en un demi-siècle, la police de la pacifique Islande, pays sans armée de 300 000 habitants qui n'avait connu, depuis son indépendance, qu'une seule manifestation violente, en 1949, lors de l'adhésion à l'OTAN, a fait usage de gaz lacrymogènes pour disperser les contestataires. Contre le chômage, Madrid encourage les Espagnols à préférer le "made in Spain"
LE MONDE: En pleine "Obamania", le ministre l'industrie et du tourisme espagnol, Miguel Sebastian, a choisi d'emprunter au registre de John Fitzgerald Kennedy pour demander à chaque consommateur espagnol "ce qu'il peut faire pour son pays". THE TELEGRAPH: President Barack Obama's hopes of a new dawn of bipartisan co-operation in Washington have been shaken by fierce Republican opposition to his £600 billion economic stimulus plan. Senior Republicans attacked the $825 billion package as too big and laden with pet projects that will do nothing to lift the US out of recession in the short term. Hovering over their discontent is a growing feeling among conservatives that Mr Obama's inauguration speech, a strong disavowal of the outgoing President George W. Bush as he sat listening, was unnecessarily harsh on his predecessor. Representative John Boehner, the Republican leader in the House, is understood to be one of those most upset about the tone of the speech. Having previously vouched for Mr Obama's desire to reach across the aisle, the Republican has adopted a harsher tone since Tuesday's inauguration. "We believe that spending nearly a trillion dollars is really more than what we ought to be putting on the backs of our kids and their kids, because at the end of the day, this is not our money to spend. We're borrowing this money from our kids," Mr Boehner said after a meeting with Mr Obama. THE TELEGRAPH: Britain is heading for economic depression for the first time since the 1930s, economists have warned. Families must brace themselves for a slump of far greater severity and longevity than the recessions of the 1980s and 1990s, they warned. They said the current crisis will be of a scale to rival the biggest peace-time crisis in modern history — the Great Depression. The warning was delivered by economists and politicians after the Office for National Statistics revealed that the economy shrank by 1.5 per cent in the final three months of 2008 alone. The contraction follows a 0.6 per cent fall in gross domestic product (GDP) — the most comprehensive measure of Britain’s wealth generation — during the previous three months. This means Britain fulfils the criteria for a technical recession — two successive quarters of negative output. THE TELEGRAPH: Microsoft plans to axe 5,000 jobs as a result of weakness in the global personal computer market and forecast that profits will fall this year. The software giant said it planned to make the job cuts - which amount to more than 5 per cent of the firm's global workforce - over the next 18 months. Around 1,400 are expected to be informed of their departure on Thursday. It is understood around 60 of the cuts will be in the UK. They don't know what they're doing, do they? With every step taken by the Government as it tries frantically to prop up the British banking system, this central truth becomes ever more obvious. 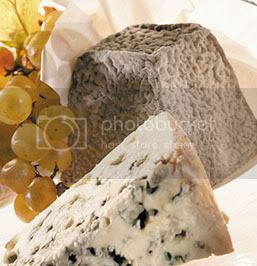 THE TELEGRAPH: The French government is facing calls to slap a massive import tax on Coca-Cola in retaliation for punitive American duties levelled on the salty, blue-veined, sheep cheese roquefort. The American measures were taken as part of a trade dispute, now known as "cheese wars", in which the Bush administration took action against the European Union's ban on imports of US hormone-treated beef. Last week, America imposed a 100 per cent import duty on a long list of EU products, but singled roquefort out for a 300 per cent tariff. Sterling slumped to its lowest level against the dollar for nearly a quarter of a century today on persistent fears about the health of Britain's banks and worries that the cost of bailing them out could be a millstone round the economy's neck for many years to come. China and South Korea have announced sharp falls in economic growth, in a further sign of the financial crisis sweeping through east Asia. China said its GDP fell to 6.8% in the final three months of 2008, from 9% in the previous quarter. South Korea said its economy shrank by 3.4% in the last quarter of 2008 compared with the year before. *Viewpoints expressed in these videos are the viewpoints of the the maker of the videos and the people interviewed therein. It also rules out some of the activity that got Western finance in trouble - subprime mortgages, credit default swaps and the like. THE TELEGRAPH: Bosses who wrecked rock-solid institutions walked away with millions - leaving us to pay for their folly. But to get one's first cheque book was something special. Mine had the words National Westminster Bank written on the front, an imprimatur that could hardly have sounded more rock solid and British to the core, a guarantee of probity and quiet competence. ’A New Dark Age Is Dawning’ Is Back! Visitors to my website will know that it was ‘locked’ for a period of over two weeks. I am pleased to be able to report today that the website has now been ‘unlocked’. I am therefore now able to resume blogging on it. No explanation has been given as to why the blogspot was locked in the first place; so the reason for the problem will remain a mystery. I should like to thank all of you who took the trouble to email Blogger / Google in support of me and the blogspot. I would like you all to know how much I appreciate your loyalty and support. My thanks go to Blogger / Google for restoring this blogspot to full functionality. So now it’s back to business as usual. This website will revert to its more appropriate subject matter: economics and finance. 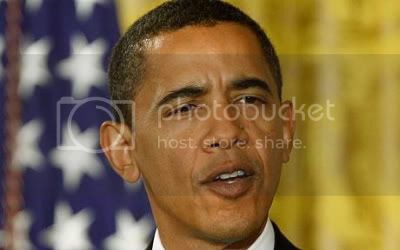 AL BAWABA: U.S. President Barack Obama promised a new start with the Muslim world in his inauguration address on Tuesday. "To the Muslim world, we seek a new way forward, based on mutual interest and mutual respect," said Obama. Under President George W. Bush, U.S. relations with Muslim nations have often been tense, mainly in the aftermath of the September 11, 2001 attacks. BBC: What would you do if your income was slashed by 80% because of the continuing downturn? What choice would you make if your bosses asked you and your colleagues to agree either to a 50% salary cut or to reducing the firm's workforce by half? Such a choice might seem unreal to a lot of professionals in the West, whose rights are protected by laws and unions, as well as by history itself, as these rights have been in place for decades or even centuries. But these questions are now a reality for some people in crisis-hit Russia as it comes to the end of a decade-long boom, the first time in its existence that this has happened in a free-market economy. The problem is that many Russians still get the bigger part of their salaries "in envelopes", even despite a flat 13% rate of income tax. Their official salaries may be no more than a couple of hundred dollars. It all seemed fine to them when they did not have to worry about their jobs. But now it leaves them unprotected. Their bosses do not need to fear the cost of making them redundant, as the severance money, calculated as the sum of several official monthly salaries, would be tiny in comparison even with an employee's real one-month salary. BBC: Pessimism is the most serious cause for the global economic tsunami. There is an ocean of people who are now feeling so depressed that not only have they become resigned to the fact that they are in deep trouble, but they have told everybody else that they are also in deep trouble. Pessimism has an uncanny knack of being self-fulfilling. No wonder almost every single quoted share in the world has gone down significantly, mostly by half, if not much more. Even the most solid companies, such as HSBC, which has no real exposure; or BP, which has significant oil reserves; or a company like Dell, which has an enormous amount of cash - the shares of these companies have traded down considerably. THE TELEGRAPH: Sterling tumbled below the $1.40 mark against the dollar for the first time in almost a decade and fell against the rest of the world's major currencies as the UK Government's second bail-out of the country's banks underlined the dangers facing the economy. The pound, which was trading above the $2 mark less than 12 months ago, slumped to below the $1.40 mark for the first time since June 2001 in morning trading in London after registering a fall of more than three cents yesterday. Currency traders have been aggressively selling the pound as the depth of the recession facing the UK becomes clearer. Interest rates are now at 2pc and most analysts expect the Bank of England to continue cutting close to zero in an effort to get money moving around the economy again. On a day that brought with it the worst corporate loss in British history, a vertiginous slide in banking shares and news of yet another financial bail-out package, it might seem perverse to focus on a mere rumour. But as the market closed with experts facing the fact that the majority of the UK banking system is one step closer to nationalisation, the rumour hitting the floor was of a scale that was even more terrifying. WELT ONLINE: Am Dienstag um 18 Uhr (MEZ) wird Barack Obama US-Präsident werden – an einem Tag des Wahnsinns. Bis zu einer Milliarde Dollar Gewinn sollen die Feierlichkeiten zur Amtseinführung abwerfen. Noch einmal wird der neue Präsident in Überlebensgröße inszeniert. Dann beginnt endlich sein Job. leJDD.fr: Plus que ses prédécesseurs, Barack Obama bénéficiera d'une sécurité maximale, ce mardi, tout au long de la cérémonie d'investiture qui doit l'installer à la Maison Blanche. Premier président américain noir, l'ancien sénateur de l'Illinois a fait l'objet de nombreuses menaces. Même si le département de la Sécurité intérieure a fait savoir qu'aucune menace "crédible" ne pesait sur lui. THE TELEGRAPH: Public anger over the "irresponsible" lending of Britain's banks intensified as MPs and unions criticised their conduct and even Gordon Brown felt compelled to express his anger as the latest bail-out package was announced. Mr Brown admitted that taxpayers were justified at feeling angry that billions of pounds worth of their cash was being used to support the banks as a result of their behaviour. As the rescue package was unveiled in the Commons, MPs from across the House condemned their excesses and called for greater constraints in future in return for the Government’s help. ALISTAIR Darling unveiled another massive banking bail-out today, insisting it was “essential” to prop up the struggling economy. The Chancellor and Prime Minister Gordon Brown staked hundreds of billions more of pounds of taxpayers’ money on a second bank bail-out in a bid to free up “blocked” credit markets and head off a worsening recession. Among a series of measures, Mr Darling set out plans for a new insurance scheme to protect banks from so-called toxic assets, a move it is hoped will encourage institutions to restart lending to businesses and households. THE TELEGRAPH: Britain risks becoming more racist as the recession increases resentment and division, the head of the equalities watchdog has warned. Trevor Phillips claimed race relations have improved in the last 15 years and said we should no longer use the phrase "institutionally racist" to describe companies and public services. THE TELEGRAPH: Hamas declared victory over Israel on Monday but the Islamic group vowed to replenish its arms stockpiles in the wake of the 22-day onslaught on Gaza. Ismail Haniya, the deposed Palestinian prime minister and political leader in Gaza, said the "armed resistance" had triumphed by surviving the Israeli operation. 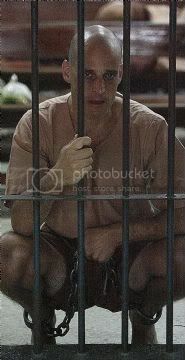 TIMES ONLINE: An Australian novelist was jailed for three years by a Bangkok court today, the latest in a growing number of Thais and foreigners prosecuted for the crime of “insulting” the family of King Bhumibol Adulyadej. Harry Nicolaides, a 41-year old teacher and part time writer was convicted on the basis of a 103 word paragraph about the alleged sexual peccadilloes of the royal family, particularly Crown Prince Maha Vajiralongkorn. He could have received a sentence of as much as twelve years and his decision to reverse an earlier plea of not guilty persuaded the judge to hand down the minimum sentence possible for the crime of lese majeste, or insulting the monarchy. WELT ONLINE: Die Kandidatur von Obama hat viele schwarze und junge Wähler mobilisiert, vor allem in den Südstaaten. Doch zugleich zeigt sich auch das verstörte, das reaktionäre Gesicht des amerikanischen Südens. WELT ONLINE besuchte einen republikanischen Wähler, dem selbst John McCain noch zu "liberal" war. Ed Buren hat Angst vorm schwarzen Mann. Vor dem, der am 20.Januar ins Weiße Haus einziehen wird, und auch sonst. „Ich will nicht, dass so einer über mich und mein Leben entscheidet“, sagt er. Und setzt hinzu, drohend beinahe: „So einfach ist das.“ Den Namen des gewählten US-Präsidenten Barack Obama nimmt er nicht in den Mund, nur dessen Mittelnamen wiederholt er gerne: Hussein, wie Saddam. Ed Buren lebt in Stone Mountain, einem kleinen Dorf östlich von Atlanta im Bundesstaat Georgia. Er wirkt wie ein Abziehbild aus dem Buch der Klischees, ein Redneck, so heißen hier die weißen, reaktionären Hinterwäldler. An seinem Pick-up-Truck weht eine zerrissene Konföderiertenflagge, die Flagge der Südstaaten, die den Sezessionskrieg 1865 verloren. Vom Rückspiegel baumelt ein Kreuz aus weißem Plastik. Er ist um die 50, vielleicht auch jünger, mit schlechten Zähnen und schütterem Haar; so unauffällig sieht er aus, dass man ihn schnell vergisst. Ihn selbst vielleicht, aber nicht seine Worte. Die mögen dumpf klingen, bizarr und von der Zeit überholt, doch Stimmen wie die von Ed Buren sind häufiger zu hören seit den Wahlen vom 4. November, meist hinter vorgehaltener Hand.